Lucy has always dreamt of becoming a nurse. Back when she was in kindergarten, she would dress up in white and act as a nurse caring for her “sick” dolls. When she stepped into grade school, she would proudly write a 300-word essay of “When I grow up, I want to be a Nurse”. In high school, she loved learning about first aid and when it was time to apply for college, she didn’t hesitate in choosing Bachelor of Science in Nursing (BSN) as her course. For her, nursing school is her pathway to her dream. Finally, with a few steps away, she will become a nurse. She spends almost every night studying her lessons, making Nursing Care Plans and drug studies, and preparing for exams. During the day, she attends classes and goes on toxic clinical duties. All of these she does without question as for her, all of these sacrifices will be worth it. Today is just another typical day for her, going on duty under the supervision of her Clinical Instructor and learning new things. She stares as the staff nurse dons a pair of gloves, and turns on a machine with a tube attached to it. To her surprise, it produces a loud suctioning sound. “It’s called a suction machine,” their CI tells them as the staff nurse inserts the tube slightly inside the patient’s mouth, withdraws the tube in and out go whitish-colored secretions moving through the tube and finally ending up inside the suction bottles. “Cool,” she says to herself. She smiles as she pictures herself doing the same a few years from now. But for now, it’s time to learn how to do it, first. Suctioning is a procedure done in order to assist in the removal of bronchial secretions that cannot be expectorated by the patient spontaneously. It is a shared procedure between the Respiratory Care and the Nursing service and may be done on a PRN basis. Usually it is indicated if there are secretions visibly present in tube orifice, there are coarse tubular breath sounds on auscultation in a patient who is unable to cough or without artificial airway in place, and for patients with an artificial airway. Prior to the procedure, you must first perform the standard checking of doctor’s orders, reviewing laboratories and X-rays, identifying the patient, examining and auscultating the patient, assembling the suctioning equipment, and identifying yourself to the patient and folks. Connect the suction machine to vacuum wall outlet. Turn vacuum on, and occlude tip of connective tubing to check for the suction. If no suction is demonstrated on gauge, tighten all connections. If no suction occurs still, increase vacuum. If still no suction occurs for the third time, label machine as “defective”, obtain another suction machine, reassemble and retest. After washing your hands thoroughly and putting on your protective gears such as gloves and masks, and if splashing is possible, gowns and eye protection, it’s now time to suction. Position the patient by extending the neck slightly to facilitate entrance into the trachea especially for nasotracheal suctioning. The patient may be positioned to semi-Fowler’s or sitting upright with head hyperextended, unless it is contraindicated in order to reduce the stimulation of gag reflex, to promote client comfort and secretion drainage, to prevent aspiration and also to lessen strain on the nurses’ back while performing he procedure. Open suction catheter (expose only the connector), and attach to the connective tubing while maintaining sterility of catheter. Check the patients vital signs especially the heart rate and O2 saturation before, during and after procedure. The baseline SPO2 determines the patient’s response to suctioning. Discontinue the procedure if tachycardia or bradycardia occurs until it resolves. Place sterile gloves on both hands and remove the suction catheter from the envelope maintaining sterile technique. (The tip of catheter must be coated with lubricant for nasotracheal suctioning only). For patients with an artificial airway in place, hyperoxygenate with a resuscitation bag or mechanical ventilator, while if patient is receiving oxygen therapy, request several deep breaths before suctioning. 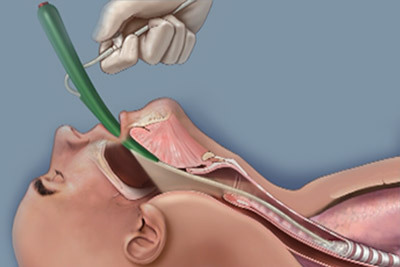 Insert the catheter through the nose or endotracheal tube to the point of restriction without applying suction. Never aggressively force the tip of the catheter through any obstructions in the nose. Withdraw the catheter and reposition the patient’s head and try again. After the restriction has been passed, slowly advance catheter. Ask patient to take deep breaths or watch for inspiration. Hyperoxygenate the intubated patient or request the non-intubated patient to take several deep breaths thereafter. Auscultate the patient’s chest; if there are still secretions heard repeat the suctioning procedure (5-10ml of normal saline may be used to loosen tenacious secretions), but before you re-suction, clear the catheter first with sterile water. After the procedure, the nurse may then discard the used gloves and catheters in an aseptic manner. The connective tubing may be then cleared with the remaining sterile H20 and the suction may be turned off. Return the patient to a comfortable position and discard personal protective equipment. After washing your hands, you may then document the procedure depending on your department guidelines. The physician may be informed of any relevant request, complaints or reactions to the therapy. Dozens of concepts are discussed in the classroom that student nurses need not only memorize and understand but also learn how to apply in the clinical area. In nursing, a lot has to be learned since we are assigned a very critical role in our patient’s life. Meanwhile, as they journey towards their chosen profession, student nurses must do all they can to learn as much concepts as they can, taking everything step by step. Eventually, everything will pay off and with the right combination of knowledge, skills and attitude one may turn out to be a competitive, efficient and quality nurse someday. This entry was posted in Fundamentals of Nursing and tagged suctioning procedure, Suctioning Technique. Bookmark the permalink. on addition it’s under strile tech. Suctioning techniques is very important asap indecated a proper procedure and sterilization all the things use. I used to do this 50 times a shift girls, it’s really pretty easy after the first few, don’t worry too much about it! I’ve only been a nurse for 6 months and used to dread the first time I would have to suction someone. Now I do it twice a shift with one of residents. It’s really quite easy! Its far more disconcerting for the patient than it is for us nurses. closed suctioning technique is d best option as it facilitates continuous mechanical ventilation and oxygenation during the suctioning..
Hyperoxygenate the pt. before, during nd after the procedure…. 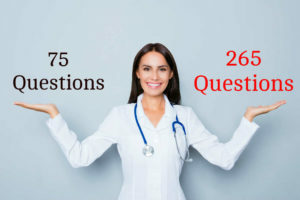 This page is remarkable and I wish to thank all those posting on this page and providing some very useful technical preliminaries to raise awareness among patients and medical professionals. When I was a student nurse (1993-94) in Bhutan, we had a patient who had undergone tracheostomy (bear mauled case). Initially, nurses did the suctioning….then student nurses….later, patient he himself…! Check his reflection in a mirror and suction…get his respiratory tract cleaned….! I did suctioning manyn Times in my duty it is not a difficult procedure but should use strile technique and prevent patient from trauma by inserting catheter smothly. Donot suction while you insert the cath . Standard precaution! For the sake of your pt. It seem difficult and scaring for the first time but is easy to suction. It seem difficult and scaring for the first time.